Invicta Fighting Championships staged a highly successful second event on Saturday night at Memorial Hall in Kansas City, Kansas. In the Invicta FC 2 headliner, Olympic silver medallist Sara McMann earned a close decision victory over grappling ace Shayna “The Queen of Spades” Baszler. Other winners on the event’s main card included Japanese jujutsu and BJJ black belt Alexis “Ally-Gator” Davis, who became the first woman to submit Hitomi “Girlfight Monster” Akano in MMA, and Liz “Girl-Rilla” Carmouche, who earned a second-round submission victory over Kaitlin Young. The main event featured a back-and-forth action-packed battle between McMann (6-0-0) and Baszler (14-7-0), which earned a standing ovation from the crowd in attendance after three rounds. Baszler countered McMann’s punches with kicks to the body and lead leg in the opening round. She continued to mix up her strikes as the round progressed, but McMann found a home for her right hand and landed uppercuts in close. Baszler stuffed a takedown and the fighters traded punches in the clinch. Baszler landed crisp counterpunches in round two and countered a takedown with a kneebar attempt. McMann defended and punched in defence, but Baszler remained active on the ground with an armbar. McMann scrambled up and landed punches, but the second stanza appeared to be Baszler’s. McMann was aggressive with her strikes in the final round and Baszler stuck to counterpunches and kicks. McMann scored a brief takedown and countered body kicks from Baszler with another takedown soon after. McMann landed some of her best punches of the fight as Baszler worked back to her feet. The fighters were separated and McMann landed leg kicks, but Baszler rocked her before the bell. After three rounds, judges Henry Gueary, David Clifton and Victoria Miller-Pence were united in their verdict and all three scored the fight in favour of McMann. Gueary awarded McMann all three rounds. McMann will compete for the first Invicta FC bantamweight title in October. In the co-feature, Davis (12-5-0) earned the distinction of becoming the first woman to submit Akano (18-10-0) in MMA competition. Akano kept her distance with kicks in the opening round and Davis countered nicely with combinations. More strikes were exchanged until Davis scored a takedown. She landed punches to the head and body before the end of the round. Davis rocked Akano early in round two and scored a takedown soon after. She took Akano down and moved to back control. From there, Davis landed a series of punches to set up a rear-naked choke. Akano fought it, but eventually tapped out to the choke at the 3:41 mark of round two. A third bantamweight contender’s bout saw Carmouche (7-2-0) weather a strong first round from Young (7-6-1) to earn the submission finish in round two. Young displayed much-improved wrestling in the first round and kept the fight on the feet. She scored with knees and solid punching combinations and mixed up her strikes effectively. Young landed knees in close and remained aggressive with her strikes, but Carmouche was able to take her down late in the round. It was a much different story in round two. Carmouche scored an early slam takedown and landed punches and elbows to set up a move to mount. Young defended well and got back to full guard, but after a scramble on the ground, Carmouche wound up on top in mount again. This time, she landed punches to set up a rear-naked choke that forced Young to submit at the 3:34 mark of round two. In her North American debut, Jewels Lightweight Queen Champion Ayaka Hamasaki (8-0-0) kept her unbeaten record intact with a late submission victory over Lacey “The Ladie” Schuckman (7-5-0), who took the bout on short notice. Hamasaki scored takedowns in all three rounds and controlled the action from the top. Schuckman showed solid defence and avoided Hamasaki’s submission attempts until late in round three when Hamasaki was able to lock on an armbar. Schuckman tapped out at the 4:45 mark of the final round. Strikeforce veteran Amanda “Lioness of the Ring” Nunes (7-2-0) rebounded from a tough loss in September by defeating late replacement opponent Raquel “Rocky” Pa’aluhi (2-3-0). Nunes landed hard leg kicks early on, but Pa’aluhi took her down and scored with punches from the top. Pa’aluhi tried to transition to an armbar, but Nunes took her back and secured a rear-naked choke. Pa’aluhi refused to tap out and was choked unconscious at the 2:24 mark of round one. Newly-promoted BJJ purple belt Sarah “The Monster” D’Alelio (6-2-0) once again showed off her impressive ground game by submitting decorated jiu-jitsu practitioner Vanessa Porto (14-5-0). The fight opened with an exchange of kicks and big power punches. D’Alelio took Porto down and avoided an armbar and a kneebar. She scrambled to Porto’s back and secured a reverse triangle choke, then wrenched back on Porto’s arm for the reverse triangle armbar submission victory at the 3:16 mark of round one. Rising flyweight star Barb “Little Warrior” Honchak (6-2-0) earned a dominant second-round stoppage victory over the previously unbeaten Bethany Marshall (4-1-0). Honchak controlled much of round one with punches and elbows from top position while Marshall scrambled to try to defend. Honchak rocked Marshall early in round two, then scored a takedown and landed punches from S-mount until the fight was stopped at the 1:22 mark of round two. Opening up the main card action, Julia “The Jewel” Budd (3-2-0) put on an impressive performance in vanquishing fellow Muay Thai striker Elina Nilsson (2-3-0) in the lone featherweight fight on the card. Budd took the fight to the mat early on and landed punches and elbows to the body. She passed to mount and rained down a final barrage of elbows to earn the TKO win at the 3:49 mark of round one. The preliminary portion of the card concluded with standout wrestler Carla Esparza (7-2-0) overcoming the submission prowess of Sarah “White Tiger” Schneider (6-6-0) to earn a second-round TKO victory at 115 pounds. Esparza showcased her improved striking in the opening round, but Schneider was able to take her down and struck from the top in mount. Esparza avoided a heel hook and stood up, then reversed a takedown and closed out the round with punches. Esparza was aggressive with punches again in round two and twice took Schneider down, but she had to avoid an inverted triangle choke. Esparza fought free and soon took Schneider’s back, where she landed punches until the fight was waved off at the 4:28 mark of round two. Rebounding from a loss at Invicta FC 1, Nicdali “The Night Queen” Rivera-Calanoc (8-6-0) took a clear-cut Unanimous Decision victory over “South Valley’s Own” Angelica Chavez (4-2-0) in a 105-pound atomweight bout. Rivera-Calanoc dominated the fight on the feet and on the ground until late in round three when Chavez nearly scored a last-minute submission with a rear-naked choke and an armbar. Rivera-Calanoc made it to the bell and the fight went to the scorecards. Judges David Clifton (30-27), Henry Gueary (29-28) and Victoria Miller-Pence (29-28) all saw the fight for Rivera-Calanoc. After a setback in June, Raquel “Rocky” Pennington (2-1-0) got back on the winning track with a big victory over Sarah “Cheesecake” Moras (2-1-0) in one of two bantamweight preliminary bouts. The fight was contested almost entirely on the ground, where Pennington held an edge with submission attempts and top control. Moras was unable to keep Pennington down in the final round and wound up on the bottom. Pennington’s ground and pound was enough to earn a Unanimous Decision victory. Judge David Clifton had it 30-27 for Pennington, while judges Henry Gueary and Victoria Miller-Pence saw it 29-28. A second bantamweight bout on the preliminary card saw Jessamyn “The Gun” Duke (1-0-0) win her pro debut with a third-round TKO triumph over Suzie “La China” Montero (1-1-0). Duke controlled much of the first two rounds with knees in the striking exchanges and punches from the top on the ground. Montero worked for a triangle choke and an armbar, but she could not finish Duke and was unable to get anything going as the fight progressed. In round three, the fighters traded knees and Montero countered a takedown with a heel hook. Duke escaped and landed numerous punches for the stoppage at the 2:32 mark of round three. Jocelyn “Lights Out” Lybarger (1-0-0) kicked off her pro career with a solid win over submission specialist Cheryl “Kid Chaos” Chan (0-1-0) at 125 pounds. The fighters traded punches and knees in the close opening round and Lybarger was able to strike from the top after securing a big takedown. She continued with more punches and elbows on the ground in round two, but Chan battled back in the final stanza. She trapped Lybarger in an inverted triangle choke and threw elbows to the body of Lybarger until shortly before the bell. All three judges – David Clifton, Henry Gueary and Victoria Miller-Pence – all scored the fight 29-28 for Lybarger, who took the Unanimous Decision victory. 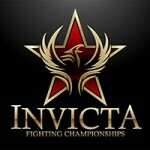 Invicta FC 2 opened with an atomweight bout between amateur standouts “Lightning” Liz McCarthy (1-0-0) and Jessica Philippus (0-1-0). McCarthy was dominant throughout the one-round fight and dropped Philippus on two occasions. Philippus was docked a point for an inadvertent illegal knee on the ground and McCarthy continued to outstrike her until the bell. The doctor stopped the fight after the first round due to Philippus’s badly swollen eye, giving McCarthy the TKO win. Full play-by-play for all fights on the card is available here. Jessica Philippus needs a better cutman, whoever that is, did a horrible job.